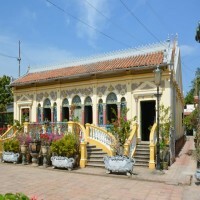 Published: 09:16 Tuesday - June 26, 2012 This village is one of the most visited tourrist attractions in Can Tho city since it contains 6 national relics. It features typical lifestyle in Mekong River Delta with its channel landscapes, orchards, traditional local lifestyle. Located on the southwest part of Can Tho River, the village used to be a subdivision of Luc Ap before Can Tho Province was incorporated, then it became Binh Hung village during the reign of Thieu Tri king (a king of Nguyễn Dynasty). In 1852, following the arrival of Huynh Man Dat, a province chief who escaped from danger to this site, this village was renamed Binh Thuy. 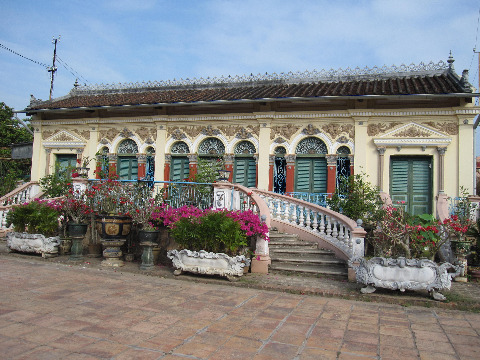 The communal house, which has existed for over two centuries, will bring another side of Can Tho’s history with its fine architecture and antiques. 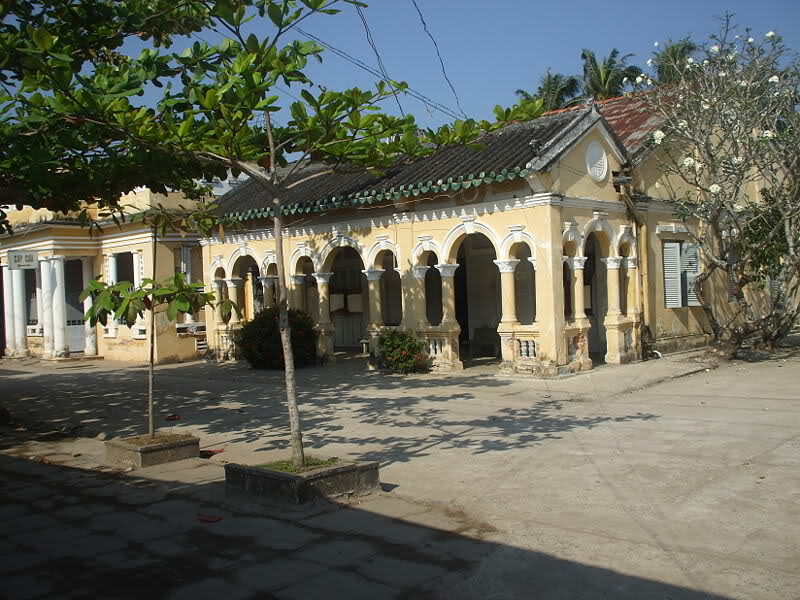 Built in the 19th century, the Communal House was named Bon Canh Thanh Hoang on November 9th 1893 by King Tu Duc. Later the Communal House was dedicated to national heroes including Dinh Cong Trang, Nguyen Trung Truc, Bui Huu Nghia and Vo Huy Tap. It was completely renovated in 1910. If you are an architecture enthusiast, you will recognize that the communal house’s architecture is different from communal houses in the north. The front and the back buildings are square, and its side has six rows of columns, and all the columns’ bases are extra-wide, making these buildings more stable. The roofs of the two front buildings were built overlapping each other. The main temple at the rear has three roofs. The top of the roof is covered with statues of people, lions and fish. In the front of the building, there are many cement columns. Inside the ancestor-worshipping house, there are altars dedicated to worship the animal gods. It is considered a valuable monument of art and architectural style in the newly-expanded south western area. Although built at the beginning of the 20th century, its architecture has many traditional characteristics with carved and engraved wooden boards. Bas-reliefs, lacquered boards and paralleled sentences or royal costumes and old paintings is an interesting area for art lovers. Long Tuyen Ancient Village, Cu Da ancient village - an archaic beauty. You also can visit our sites: Nightlife, National Parks, Nature & Adventure, Entertainment, Villages.